trong, sturdy and dependable, Johnny Mops provide the easiest, fastest and most dependable toilet cleaning available. 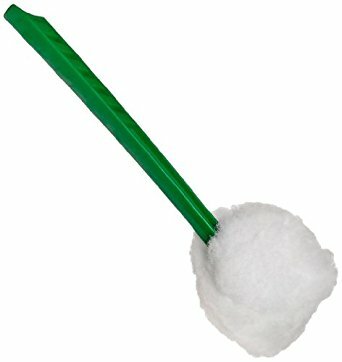 When looking for the perfect tool to ensure your bathroom toilet bowl is clean as can be, turn to our line of “Johnny Mops.” These high-quality toilet bowl mops were constructed with the cleaning professional in mind, as they are able to withstand the rigorous nature of day-to-day bathroom cleaning. Coming complete with a 12″ long I-beam white plastic resin handle with 4-1/2″ strands of acid-resistant polypropylene. This cleaning tool is the ideal addition for professional cleaning services and home owners everywhere.